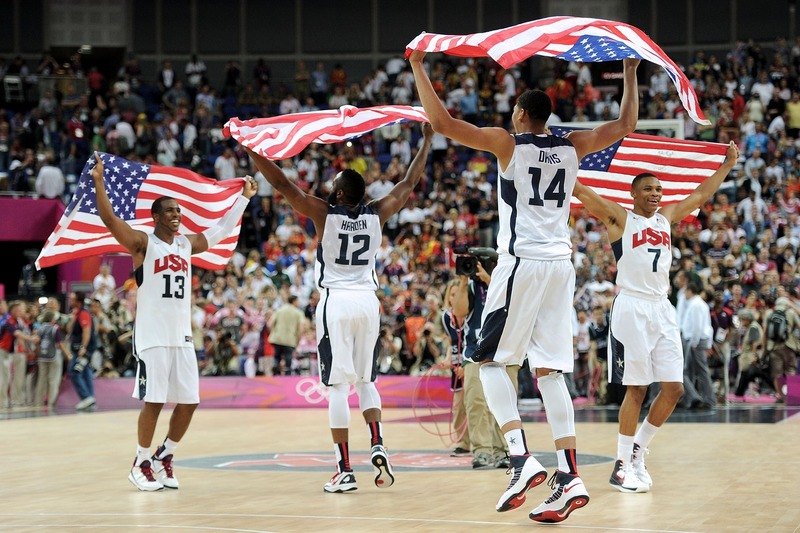 USA Basketball chairman Jerry Colangelo and coach Mike Krzyzewski have announced a 28-man squad that will provide players from the 2014 World Cup of Basketball in Spain and the 2016 Summer Olympic Games in Rio de Jeneiro. The 28-man roster includes 14 Team USA veterans, including 11 of the 12-man Beijing Summer Olympic team, and 14 newcomers. Headlining the squad is reigning NBA MVP LeBron James, and fellow well known stars such as Oklahoma City Thunder forward Kevin Durant, Los Angeles Clippers’ guard Chris Paul and New York Knicks’ forward Carmelo Anthony. Also returning to the team are Golden State Warriors’ guard Steph Curry, Houston Rockets’ guard James Harden, Rockets’ centre Dwight Howard, Minnesota Timberwolves’ forward Kevin Love, Chicago Bulls’ guard Derrick Rose, Thunder guard Russell Westbrook, Brooklyn Nets’ guard Deron Williams, Warriors’ utility Andre Iguodala, New Orleans Pelicans’ forward Anthony Davis and Knicks’ centre Tyson Chandler. The only player from the Beijing Olympic team to not be named is Los Angeles Lakers’ guard Kobe Bryant, who was omitted by his own request. “Kobe is the only one that didn’t go forward,” announced head coach Krzyzewski. 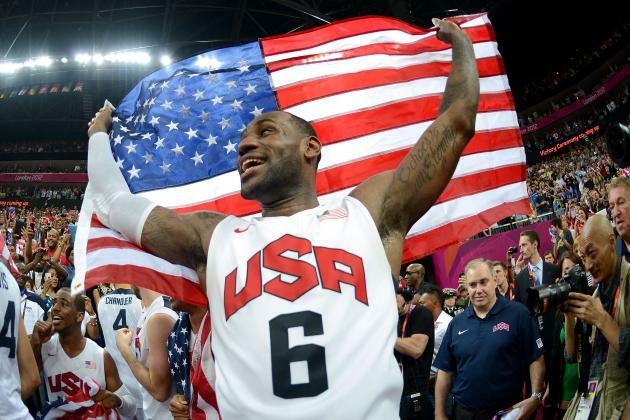 Meanwhile, Miami Heat championship players, and 2008 Olympians, Dwyane Wade and Chris Bosh were not expected to be part of the national team player pool. The 2014-16 squad also includes a wide variety of fresh faces. From 2013-14 MVP candidates such as Portland Trailblazers’ forward LaMarcus Aldridge and Indiana Pacers’ forward Paul George, to lesser known role players like Atalanta Hawks’ sharpshooter Kyle Korver and Denver Nuggets’ energetic hustler Kenneth Faried, the 14 new players bring a mix of star power and specialist skills. Also joining the team for the first time is Los Angeles Clippers’ forward Blake Griffin, Sacramento Kings’ centre DeMarcus Cousins, Cleveland Cavaliers’ guard Kyrie Irving, Trailblazers’ guard Damian Lillard, Warriors’ guard Klay Thompson, Detroit Pistons’ centre Andre Drummond, Washington Wizards’ guard Bradley Beal, Utah Jazz utility Gordon Hayward, Warriors’ forward David Lee and San Antonio Spurs’ forward Kawhi Leonard. Head Coach, Krzyzewski, explained that the large squad gave Team USA the options they needed for three years of competition and that every player selected would be given consideration for a place on the team. “What’s important to note is that history would show that we had a roster in Beijing of our 12 players, and then in the World Championship in Istanbul we had 12 different players,” said Krzyzewski. “So we think that we’ll always have a turnover for each competition, and it could be six carryovers and six newcomers. By doing that, people have the opportunity to see that they will get a shot at the Olympics where, in many of their cases, that’s what they’d shoot for. “So I think you’re going to see at the least six Olympians (at the World Cup of Basketball), but that remains to be determined. National Team managing director, Colangelo, also noted that despite Team USA’s recent success, there were no assumptions of future success or guarenteed roster spots. “We’ve had tremendous success. 62-1 since we actually took over the program, but it (the player pool) is getting stronger and the pipeline is getting more full all the time,” Colangelo said. “Our job is to make sure we take nothing for granted. There will be major challenges as we see it, because that’s just the way it is. Point guards: Stephen Curry, Golden State Warriors; Kyrie Irving, Cleveland Cavaliers; Damian Lillard, Portland Trail Blazers; Chris Paul, Los Angeles Clippers; Derrick Rose, Chicago Bulls; Russell Westbrook, Oklahoma City Thunder; Deron Williams, Brooklyn Nets. Shooting guards: Bradley Beal, Washington Wizards; James Harden, Houston Rockets; Kyle Korver, Atlanta Hawks; Klay Thompson, Golden State Warriors. Small forwards: Carmelo Anthony, New York Knicks; Kevin Durant, Oklahoma City Thunder; Paul George, Indiana Pacers; Gordon Hayward, Utah Jazz; Andre Iguodala, Golden State Warriors; LeBron James, Miami Heat; Kawhi Leonard, San Antonio Spurs. Power forwards: LaMarcus Aldridge, Portland Trail Blazers; Anthony Davis, New Orleans Pelicans; Kenneth Faried, Denver Nuggets; Blake Griffin, Los Angeles Clippers; David Lee, Golden State Warriors; Kevin Love, Minnesota Timberwolves. Centers: Tyson Chandler, New York Knicks; DeMarcus Cousins, Sacramento Kings; Andre Drummond, Detroit Pistons; Dwight Howard, Houston Rockets.